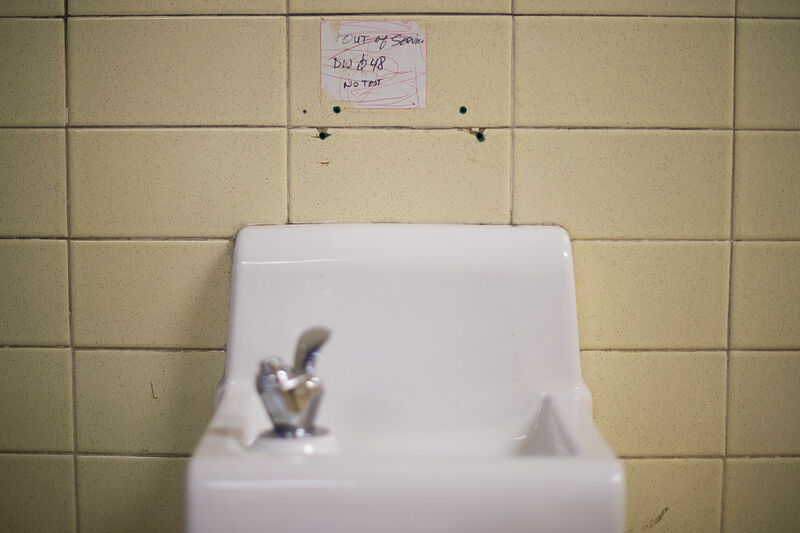 The people of Flint, Michigan cannot catch a break when it comes to the water crisis. Like the fact that even though they can’t drink their tap water, the people of Flint are still paying their water bills. That’s just not right. There are thousands of people in Flint who have allegedly had their water shut off or they’ve been using an approved filter on their sinks and tubs. Yet about 8,000 letters were sent out by the city’s treasury department telling them that residents could face standard tax liens on their homes if their water and sewer bills are more than six months past due. There are about $5 million dollars in overdue bills that could lead to residents losing their homes. Rev.Deborah Conrad told the BuzzFeed News that her church has been collecting donations to help families who can’t afford the bills. Her water bill is about $100 a month, but she’s a single woman living alone. So for a larger family, that bill could get pretty high — and again, this is for water that still has to be tested every single week. But it’s a tricky situation. The residents don’t have money and contaminated water, but the city is pretty broke, too. If all the outstanding bills are paid, the city would have about $5 million more to spend. But people would like to have clean water, since it is the city’s fault that the water crisis happened in the first place. Even the mayor agrees. Mayor Karen Weaver said, “I must say, I agree with those who have spoken out against this process. I have met with our Interim City Attorney and Finance Director and they say the city is obligated by local ordinance to follow this procedure, and we must follow the law,” meaning that it’s standard to send out the tax liens if bills are overdue. They are extraordinary circumstances — so hopefully the city and the residents should come to some sort of compromise. Because no one should have to pay to brush their teeth with bottled water. Or lose their home for something they had nothing to do with.